Are they being taken advantage of? Is their sexual attractiveness and abundance of natural talents being taken advantage of? Do they unintentionally objectify women? Yeah – no – maybe? Yes,and of course they bloody do! But me thinks too that many of these young women simply take any opportunity to work that they can. There must be thousands of part time models out there trying to get a break and make the big time. There are thousands more studying who need part time income. In these days of fickle employment you grab what you can get, right? And, so long as men remain men, they will always be titillated by a pretty face and good body. Advertisers and marketers aren’t stupid – its the men that are. I’m not gay but promo just girls don’t do it for me. Stunning though they are, beautiful indeed, not even pit girls don’t do it for me. No – I like my women classy – I like my women stylish. 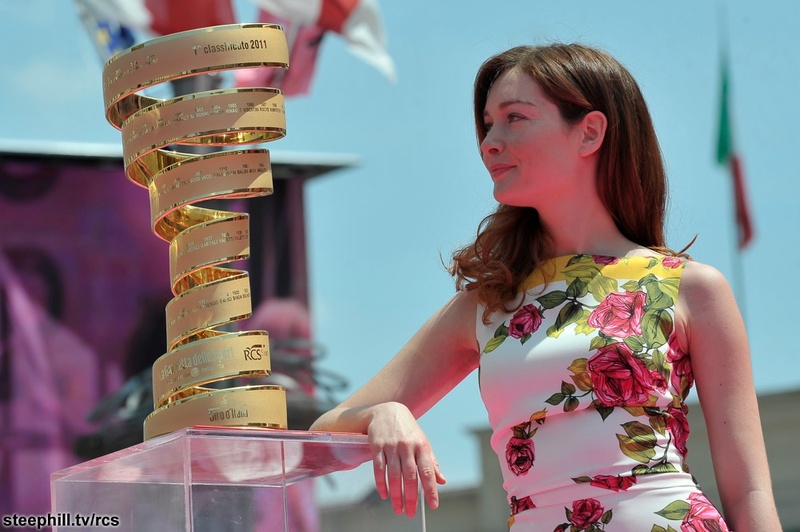 Watching Stage 8 of the Giro d’Italia this morning was the inspiration for this post, as once again I fell in love as I do for every stage of the Giro, ‘le tour’ and every other cycling classic around the globe. 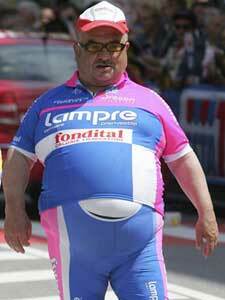 I love professional cycling, love love love! And despite the sport being riddled with questions of drugs and cheating, there is one thing they do so much better. And that’s there use of promo girls. They call them podium girls for a start! In my opinion cycling celebrates women rather than just titillate men. Yes, the models are beautiful and nearly always young, but they are fully dressed, usually in the latest designer apparel. They do not wriggle and giggle their bits, their cleavages usually offer a sliver or a hint, not a grand canyon of opportunity. Yes; they do adorn and attach themselves to the winners, smelly and knackered riders – but they do so with grace, style, poise and panache. Yes, and of course they bloody do! For intents and purposes the difference between Promo and Podium girls are nought. However, if it is necessary to flaunt your natural attractiveness then you may as well be well dressed and maintain a modicum of class. I suppose I am being naive and offering dreary double standards, but anything goes when an overweight 50 something falls in love with every single podium girl to grace my screens. I guess I could always become a spandex weekend warrior and get my kicks on the road trying to make my own podium. Please note: If any podium girls wish to contribute to this story then please do not hesitate to contact me.